Location, Location, Location! Just 2 blocks to everything Larimer has to offer including the Denver Central Market, Crema Coffee House, and Barcelona Wine Bar. 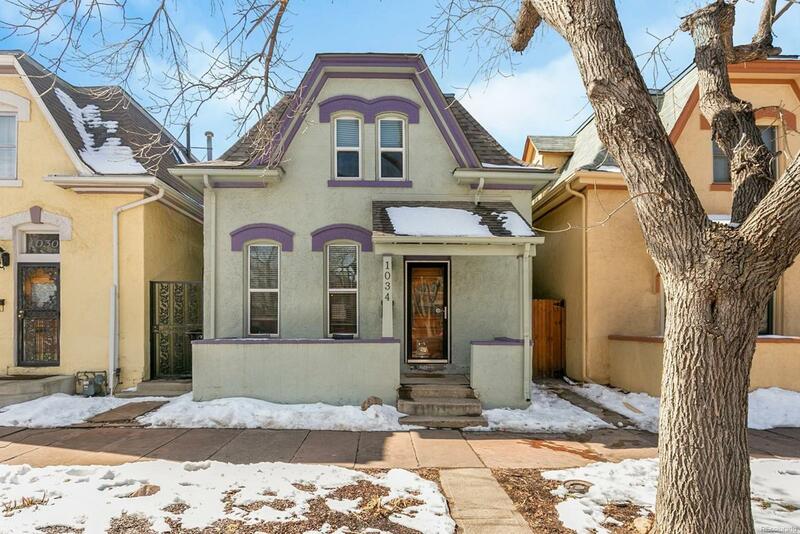 Stunning Curtis Park Painted Lady in all of her glory with so many architecturally significant features including 10' ceilings, hardwood flooring, and fully exposed brick interior in this 2 bed, 2 full bath Denver beauty. The spacious living room flows nicely into the formal dining and kitchen making this layout an entertainer's dream home. You will love the abundant storage including large under-stair closet and unfinished cellar. Upstairs the vast master bedroom boasts enough room for many furniture layout options complete with his and hers closets and private Juliette balcony showcasing views of the Downtown Denver skyline. Sizable secondary bed, remastered full bath, and laundry also conveniently located upstairs. Enjoy walking to Curtis Park and endless entertainment options! Newer roof, windows, and flagstone patio!